The legendary Cortex is back: this time with a cutting-edge new design. Just like the rest of the models in the Cortex series, the Cortex Red Edition is manufactured from ultra hard-wearing Cordura® and is built to last. 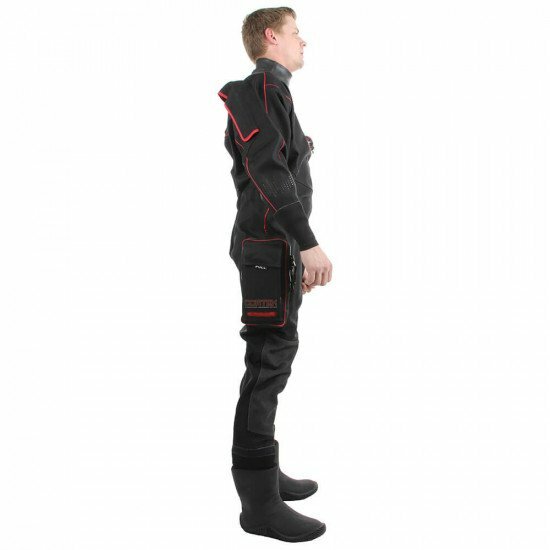 The typically high-stress crotch area of the drysuit is seam-free and reinforced, and you’ll also find oversized Kevlar® 401 kneepads and a high-spec BDM rear-entry zip, protected by a zip flap. 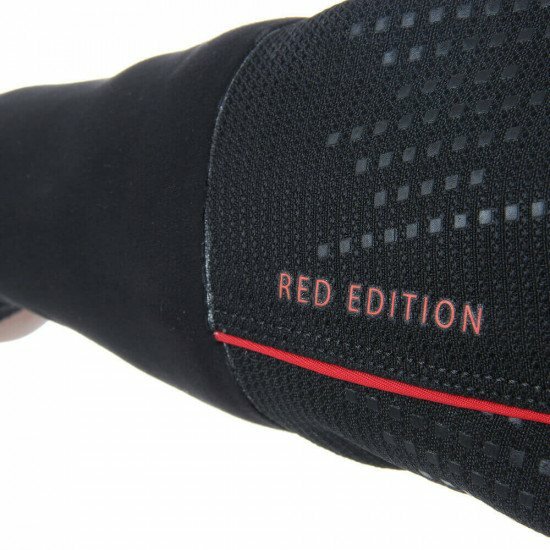 Despite its hard-wearing properties, we hope you’ll forget you’re even wearing the Cortex Red. 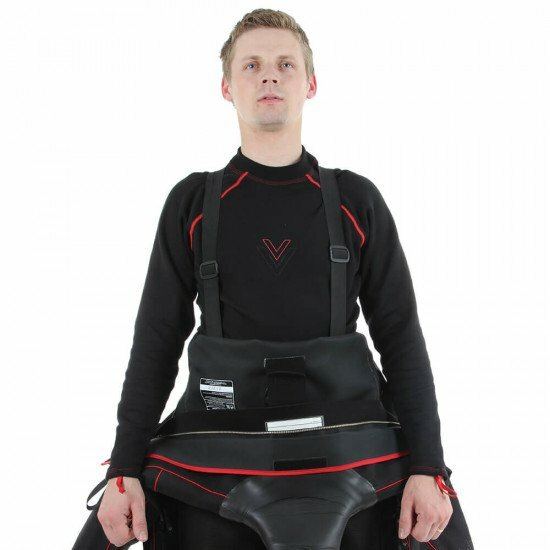 Its unique cut, internal braces and our acclaimed super-soft, durable neoprene neck and wrist seals ensure the suit works in harmony with you beneath the surface. 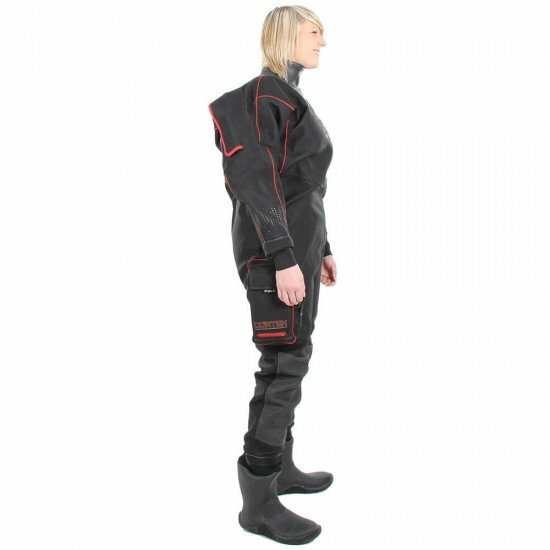 Our latest Cortex drysuit isn’t short of useful features. 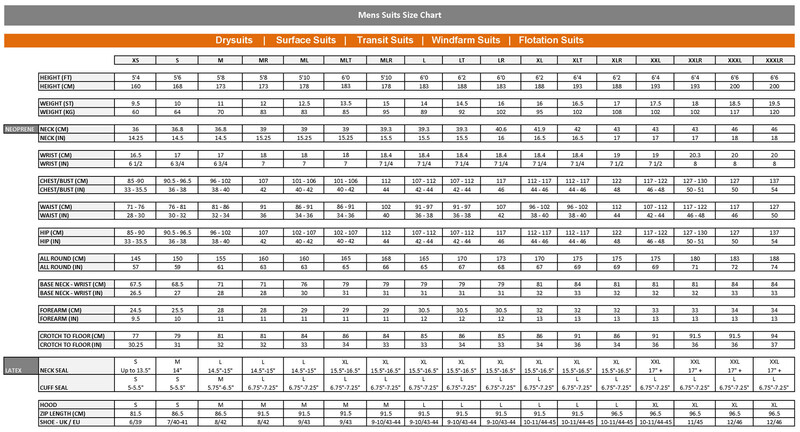 To keep your diving computer secure, we’ve added anti-slip overprinting on the lower arms. 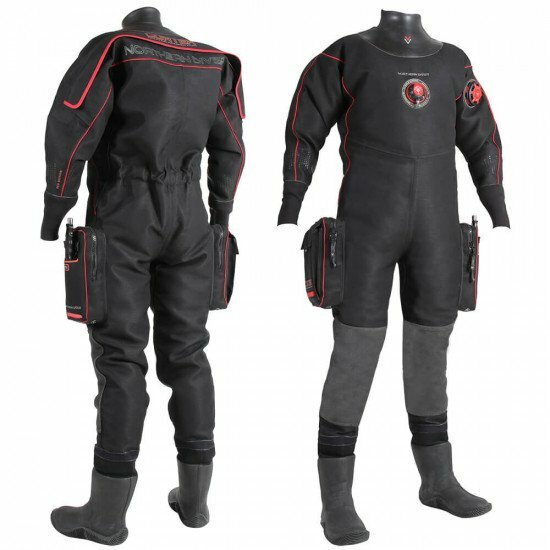 The suit’s storage capacity is also generous; with 2 zipped transporter pockets on each thigh, one with an integrated knife pocket and the other an integrated bellows pocket, you have plenty of space for specialist diving tools. If you’d like to customise your pockets on your Cortex Red, or other items such as your boots or valves, this can be performed at an extra cost. 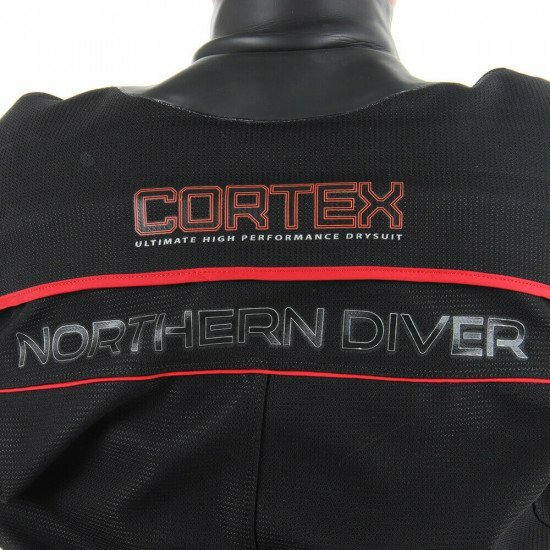 To help you take your new Cortex Red on its maiden dive as soon as possible, it's supplied complete with a 5mm neoprene dual-flow hood, drysuit carry bag, hose and maintenance kit. Please note: Knife and undersuit not included. A friend of mine has one, I try it and now I want to buy one,it's just to confortable. Renowned for its hard-wearing abilities, Cortex resists scuff and scrapes with its strong Cordura® outer layer. 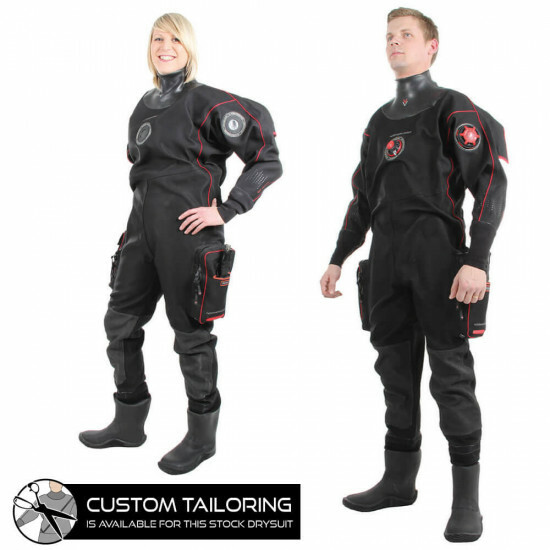 Cortex is often chosen for drysuits when a stronger body is required. Cortex also offers unsurpassed durability and tear resistance and is an ideal choice for technical divers and divers who appreciate quality construction and performance.